Several people have been hospitalised, some with stab wounds, after a gang fight at the Mike Pero Motorsport Park near Christchurch. Detective Sergeant Brad Grainger said two gangs were involved in the fight in Templeton, near Christchurch, just after midday on Sunday. Some of the gang members were taken to hospital with injuries ranging from moderate to serious, with some receiving stab wounds, Grainger said. 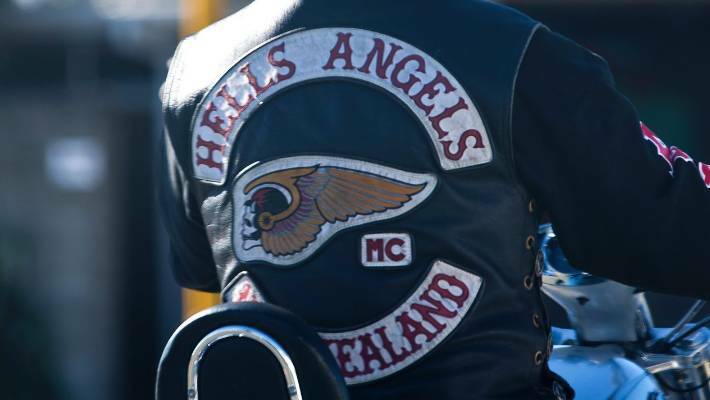 It's understood members of the Hells Angels were involved in the fight. Laval resident is charged with carrying out an armed robbery on one of two men killed on Dec. 24. A 21-year-old man has been charged with carrying out an armed robbery on one of the two men who were killed in a shooting in St-Léonard on Dec. 24. A bail hearing at the Montreal courthouse is scheduled for Monday for Fodil-Abderhamane Lakehal, a resident of Laval. He was arrested this week by the Montreal police as part of their investigation of the deaths of Davis Arbour, 38, of Anjou, and Marc-Hilary Dasilma, 41. Both men were killed as part of what police believed was an argument that involved several people inside an apartment on Jean-Talon St. E., near du Come St.
Another East Village institution—albeit an infamous one—appears to be packing up and leaving the neighborhood. EV Grieve reports that the Hell’s Angels are planning to sell their longtime clubhouse on East 3rd Street, and may move as soon as the spring. Public records show that a memorandum of contract has been drawn up between the Angels and a corporation listed as 77 East 3rd Street LLC. That firm is linked to Nathan Blatter of Whitestone Realty Group, a commercial real estate investor. No sale price was included in the memorandum. FIVE years after the Mallorca chapter of the Hells Angels was shut down, 46 alleged members are set to be tried and are facing a combined 300 years in prison. The suspects were arrested in connection with 16 crimes which include drug trafficking, prostitution, threats, bribery, possession of weapons, money laundering and extortion in S’Arenal and Palma. And among the defendants are two local police officers and a Guardia Civil sergeant from Palma, who face between five and seven years each for criminal involvement and bribery. A former Hells Angel who took part in one of the most notorious crimes committed in Quebec when he and other bikers slaughtered fellow gang members three decades ago is a free man again, despite having recently pleaded guilty to assaulting someone during a road-rage incident in Montreal. Jacques Pelletier, 63, was a full-patch member of the Hells Angels in 1985 when the gang decided to slaughter several members of its now-defunct Laval chapter. The gang members who were killed in what became known as the Lennoxville Purge were considered unruly drug dealers whose actions affected relations with other organized crime groups, notably the leaders of Montreal’s West End Gang who supplied the gang with cocaine. AUGUSTA COUNTY, Va. (WHSV) — Hell's Angels member Dominick Eadicicco took a plea deal in Augusta County Circuit Court on Tuesday. He will serve eight years in prison for malicious wounding by a mob and use of a firearm in commission of a felony. As part of the plea deal, the U.S. Attorney's office will not prosecute Eadicicco on the federal level. Eadicicco was one of two men originally charged with attempted first degree murder for his role in the attack of a rival gang at the Hometown Inn in Augusta County in September 2018. Last month, the four other men involved in the attack took plea deals. Police say they've dismantled a major drug network that allegedly controlled most of the cocaine and meth sales in New Brunswick and eastern Quebec. Investigators allege two brothers managed the territory on behalf of the Hells Angels' Nomads chapter in New Brunswick, collecting a tax from dealers who want to sell cocaine or meth in the area.